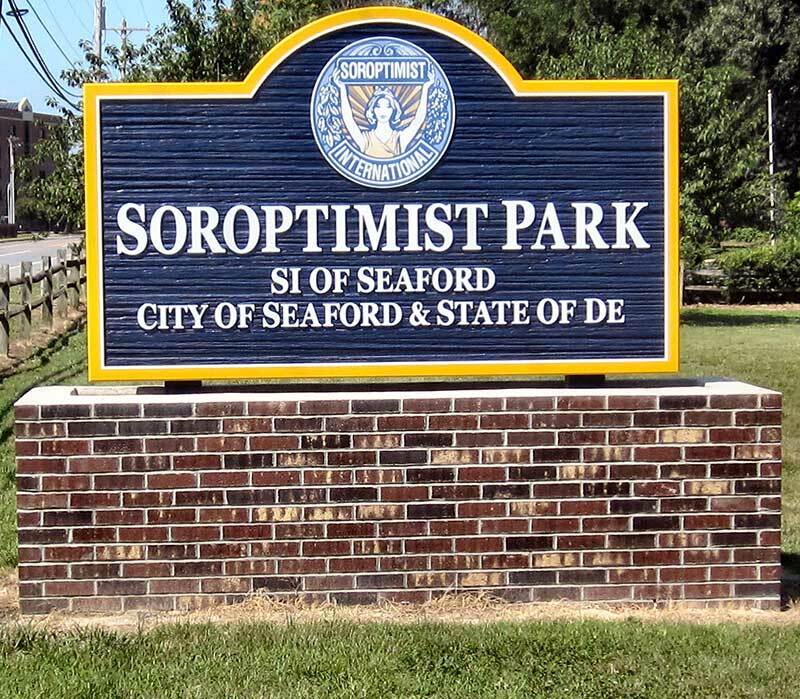 Soroptimist Park is one of seven parks located in Seaford, DE. There are two pavilions available to the public to rent. The front pavilion seats up to 75 people and the back pavilion seats between 40 to 50 people. In between these two pavilions is a walking path that includes 3 types of play structures for children. There is also an open grass lot for outdoor activities such as Frisbee, kickball, corn hole, etc. Supplies for these activities are not available at the park but can be brought into the park. Any questions about renting the park or for more information, please call the Seaford Parks & Recreation at 302-629-6809 or email seafordrec@seafordde.com.